The next generation of safety training is here. 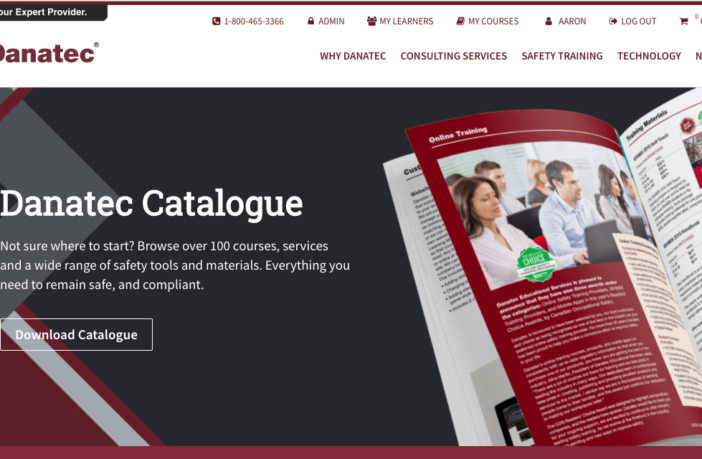 Today Danatec Educational Services Inc., Canada’s safety experts, upgraded their learning management system, re-releasing an extensive suite of award-winning occupational safety training products and services onto the leading-edge new RapidLMS platform. Automated custom certifications (company name, logo, and e-signature). Beyond these benefits, the update includes a full revision to the Danatec.com website using the RapidLMS sitebuilder. The new site is easier than ever to navigate, seamlessly integrated with the training management system, and more intuitive to training manager and learners’ needs. RapidLMS is also compatible with LearnerVerified identification and remote proctoring software, which will allow training managers to access learner verification services on supported Danatec courses. This integration will be an invaluable addition for organizations seeking defensible identity verification confirming who took the training, and will act as a safe guard tool before a supervisor verifies worker competency. This transition is a big step forward for Danatec, building on over 30 years of history and experience providing safety training and consulting. From introducing the first ever TDG and WHMIS Self-Teach resources in the 1980s, to launching Canada’s first ever online safety training courses, Danatec has always served as an industry leader, and innovator. Since taking over leadership of the business almost a decade ago, President Alina Martin has placed even greater emphasis on keeping the company, and its offerings, at the forefront of the industry. Right now, that means identity verification, defensibility and ease of use. “Getting people to work, safer and quicker is always a priority for us,” Alina says. Now that Danatec’s core suite of products have been upgraded, they will begin rolling out the benefits of RapidLMS to resellers and working with interested clients to build out their own white-label corporate training portals, branded to their organization and integrated with their existing website or intranet. Danatec, a subsidiary of Yardstick Testing and Training, is an award-winning publisher of occupational health & safety materials. 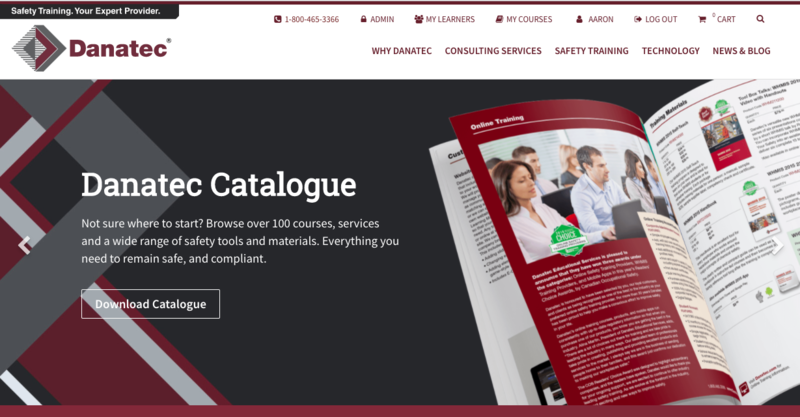 Since 1985, Danatec has offered an expansive range of educational and compliance training tools such as self-teach training programs, online training, handbooks, apps, reference materials, regulations and custom training solutions. Danatec is an industry expert and thought-leader in both workplace safety and compliance-based testing. RapidLMS is the latest learning management system (LMS) to come out of Yardstick Testing and Training, an industry leader in the education and technology sector. RapidLMS was designed to make it easy training managers to upload content, distribute and certify their learners, using automation and smart workflows to save time and money. Features include a built-in certification model, mobile compatibility, social media integration, scalability, and optional LearnerVerified integration for learner and attendance verification and remote proctoring services.